Do Cops Have to Tell You Why They’re Arresting You? Yes, in California police officers must inform arrestees of the reason why they are being arrested. This is the rule unless the person is “actually engaged in the commission of or an attempt to commit an offense, or the person to be arrested is pursued immediately after its commission, or after an escape.” Penal Code Section 841. Officers are also required to tell the person being arrested what they are being arrested for if the person demands to know why they are being arrested. Id. When Can a Person Be Arrested for a Felony? When Can a Person Be Arrested for a Misdemeanor or Infraction? A person cannot be arrested for a misdemeanor or infraction “between the hours of 10 o’clock p.m. of any day and 6 o’clock a.m. of the succeeding day, unless: (1) The arrest is made without a warrant pursuant to Section 836 or 837. (2) The arrest is made in a public place. (3) The arrest is made when the person is in custody pursuant to another lawful arrest. (4) The arrest is made pursuant to a warrant which, for good cause shown, directs that it may be served at any time of the day or night. Id. Can a Private Citizen Arrest a Person? Can a Cop Make an Arrest Without a Warrant? Another exception to the warrant requirement exists “[w]hen a person commits an assault or battery against the person of a firefighter, emergency medical technician, or mobile intensive care paramedic while that person is on duty engaged in the performance of his or her duties in violation of subdivision (b) of Section 241 or subdivision (b) of Section 243, a peace officer may, without a warrant, arrest the person who commits the assault or battery: (a) Whenever the peace officer has reasonable cause to believe that the person to be arrested has committed the assault or battery, although the assault or battery was not committed in the peace officer’s presence. (b) Whenever the peace officer has reasonable cause to believe that the person to be arrested has committed the assault or battery, whether or not the assault or battery has in fact been committed. The above is a brief description of some of the scenarios in which an officer may make a lawful arrest. 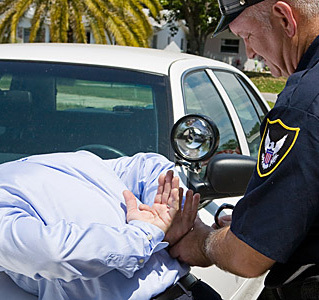 For the legality of a case specific arrest, call our office for a free legal consultation. Our office is located in Chico, CA at 2540 Esplanade Ste 11. We represent clients in the counties of Butte, Glenn, Sutter, Tehama and Yuba.